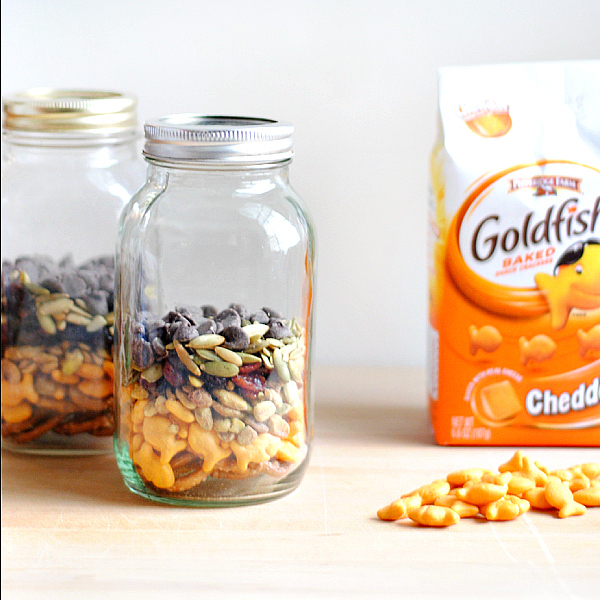 Easy Goldfish® Cracker Snack Mix + $100 Giveaway! Do you struggle to find quick, easy, healthy snacks that your kids love? Some days I feel like I hit the nail on the head and some days we all stand staring at the snack cabinet blankly waiting for inspiration to hit. For me, the key to making sure all of us have something healthy to eat when we’re looking for a snack is having the components at the ready. Some of our favorites are a quick parfait of plain yogurt mixed with honey layered with a smoothie puree of frozen strawberries, blueberries, raspberries, and cherries; cut cucumbers, tomatoes, and peppers to dip in hummus; and a recent favorite is this tasty Goldfish® cracker snack mix. It is so easy to make. My favorite way to throw it together is to layer the components in mason jars thengive them a quick shake to mix everything. 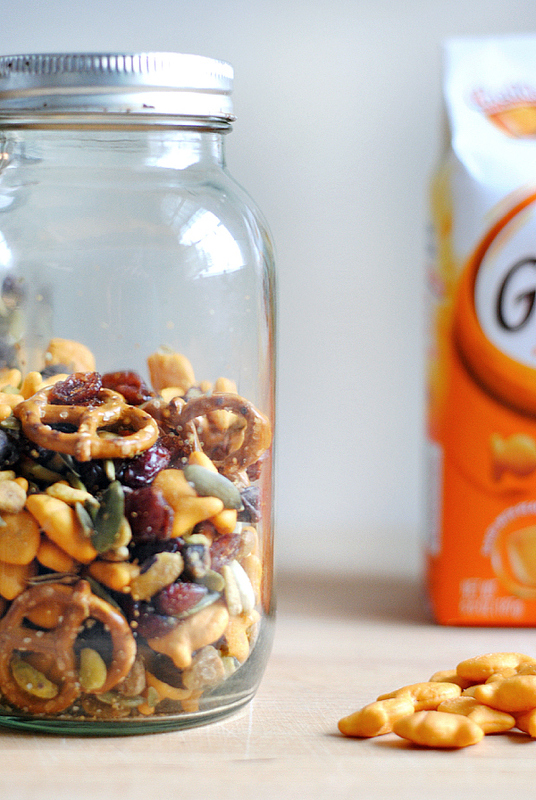 The mason jars make the assembly a cinch and double as airtight storage to keep the snack mix fresh. 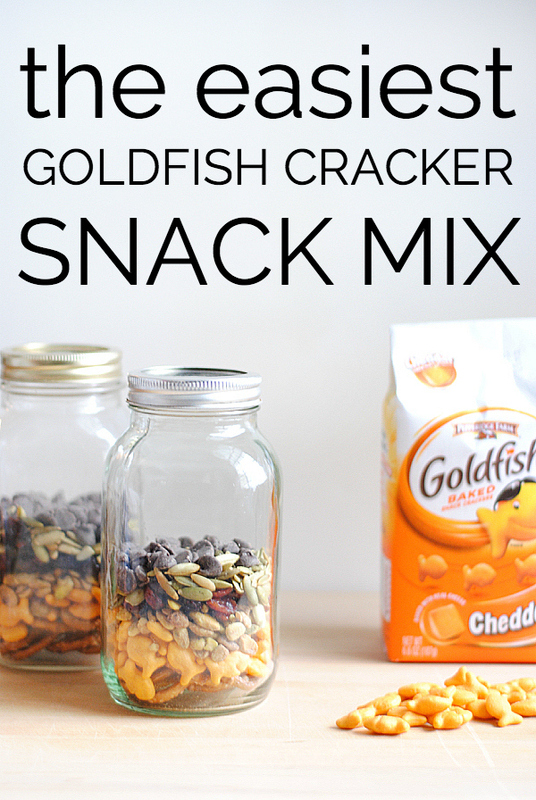 I like to use the following proportions for the ingredients, but the great thing about a snack mix like this is you can add anything you or your kids love. I always make sure I have some nuts and seeds in the mix for protein and a little something sweet to keep my girls interested :) Any time I can bring my girls into the preparation of meals and snacks, they’re that much more excited to eat. 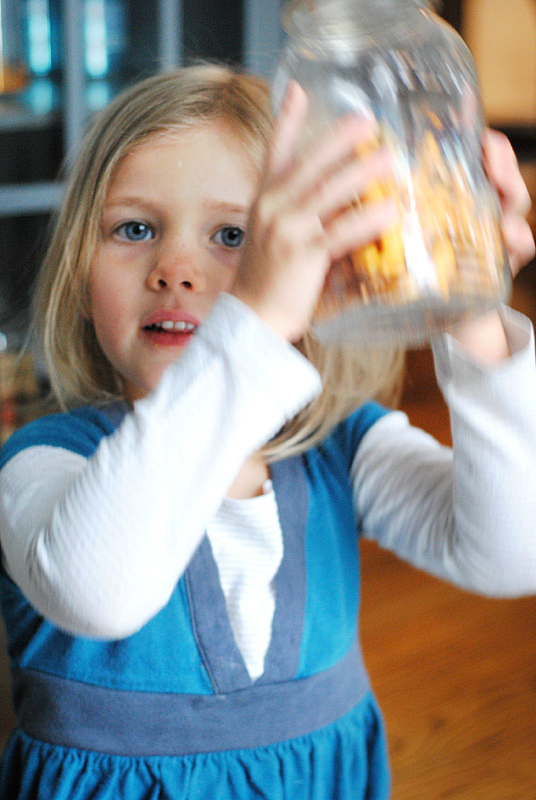 They love to help pour the snack mix components into the jars but their favorite part of this is the shaking of the jars to mix everything together. Permission to shake your food before you eat it = instant smiles for children! 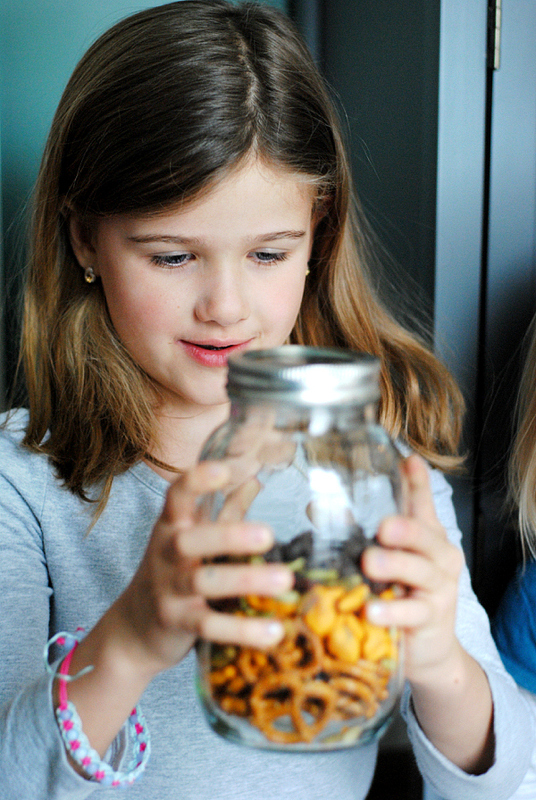 I store the jars of snack mix in the snack cabinet and then when we’re looking for a quick snack at home or something we can pour into cups to take with us in the car or on an outing, they’re ready to go. No stress trying to throw something together and then winding up with an unsatisfying handful of something random because there’s no time. Entrants are asked to share a photo and brief story for a chance to win a case of product each month and an awesome trip to the U.S. location of the winner’s choice, so that he/ she can create more Goldfish tales! No purchase necessary. Sweepstakes ends 7/31/15. Must be resident of 50 US/DC, 18 & older. Void where prohibited. Limit one entry per email address/day. 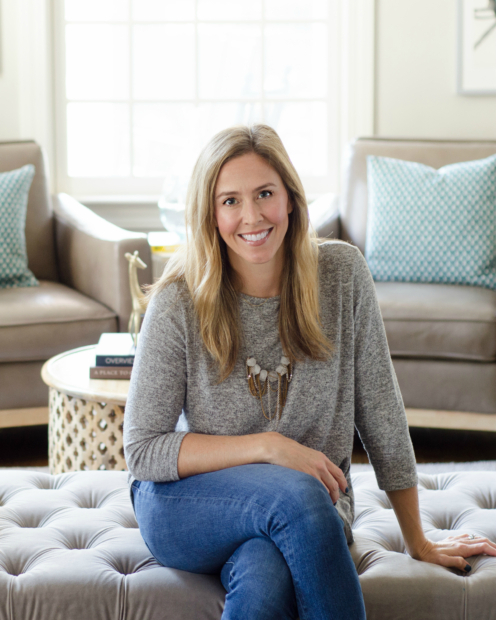 Now I would love to know…what do your kids love to snack on? 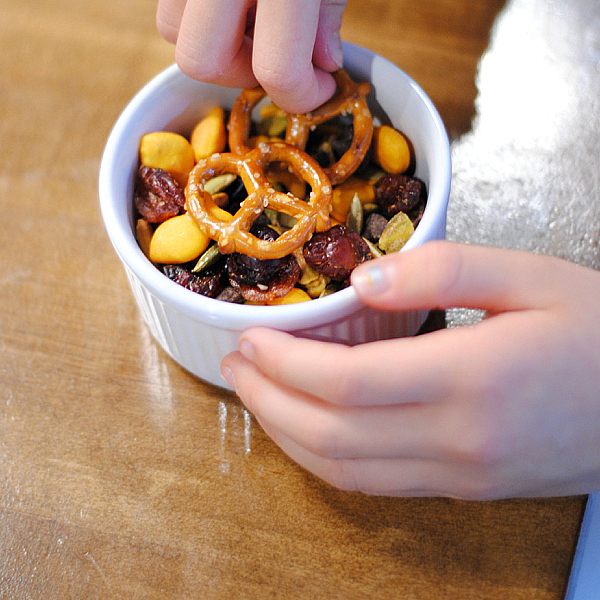 Do you have any quick, easy, and healthy snack ideas that you like to keep at the ready? 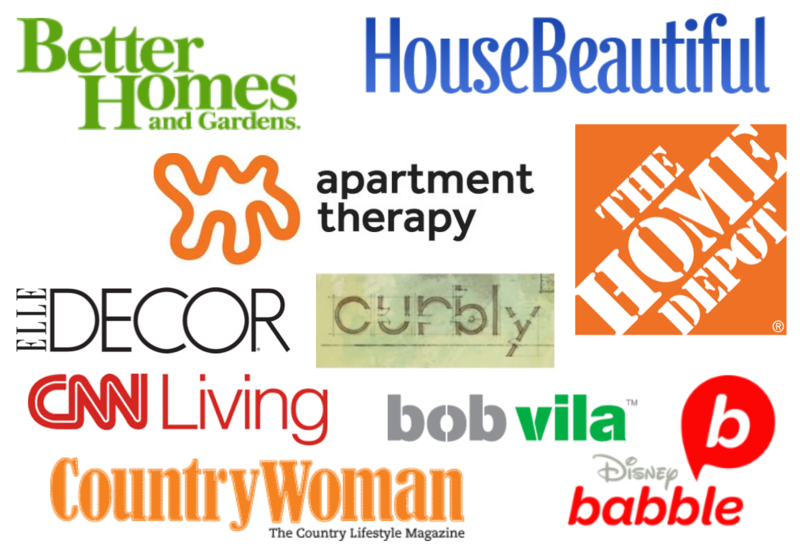 Share in the comments below and you’ll be automatically entered to win a $100 Visa gift card!